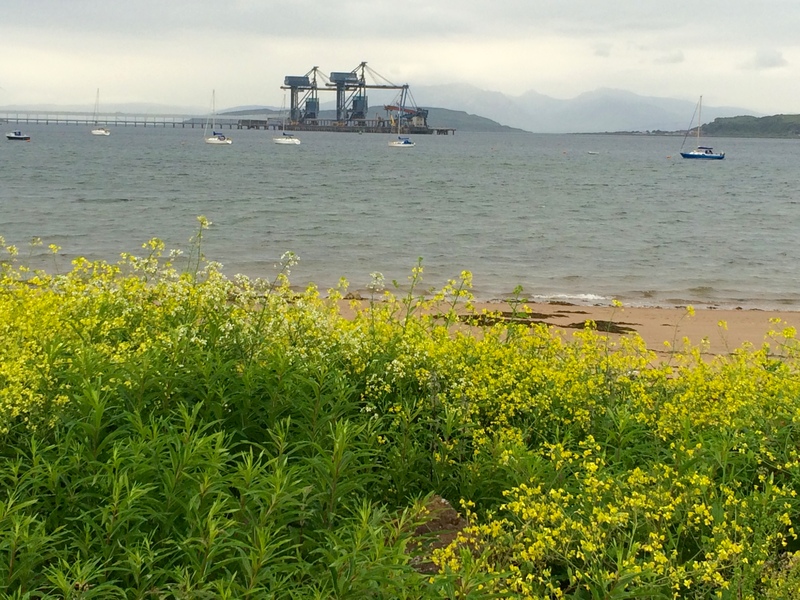 Yesterday I went to Fairlie, on the Ayrshire coast. An unusually warm day for this year so far. It was a pilgrimage of a kind, as in 1940 Moshe Feldenkrais had himself ended up in Fairlie. He’d escaped on the last boat to leave France in June 1940, as the Nazis were occupying Paris, and after a brief spell in one of the internment camps on the Isle of Man (a German sounding surname being a problem in Britain at that time), was recognised from his work in Paris in the Joliot-Curie laboratory and employed by the Royal Navy to work in Fairlie’s newly set-up anti-submarine base. Feldenkrais already had experience researching sonar technology. The first person mentioned in the Acknowledgements is Professor J.D. Bernal, one of Britain’s key war-time scientists and the person who has secured Feldenkrais’s release from internment. 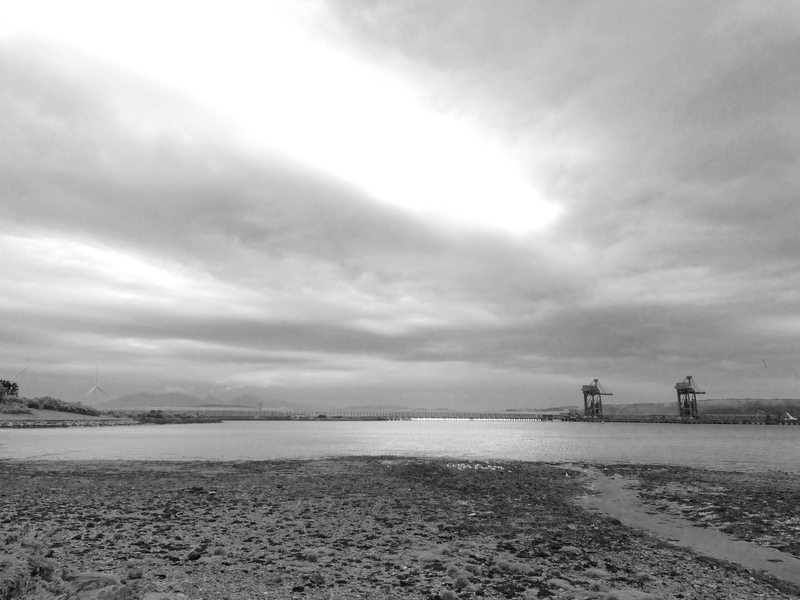 From the north of Fairlie, looking over to the Clydeport Cranes. The mountains of Arran in the distance. So I have the views in my mind that Feldenkrais himself had when he was doing all of that thinking and exploring in the 1940s. And it was all happening an hour away from where I live now. 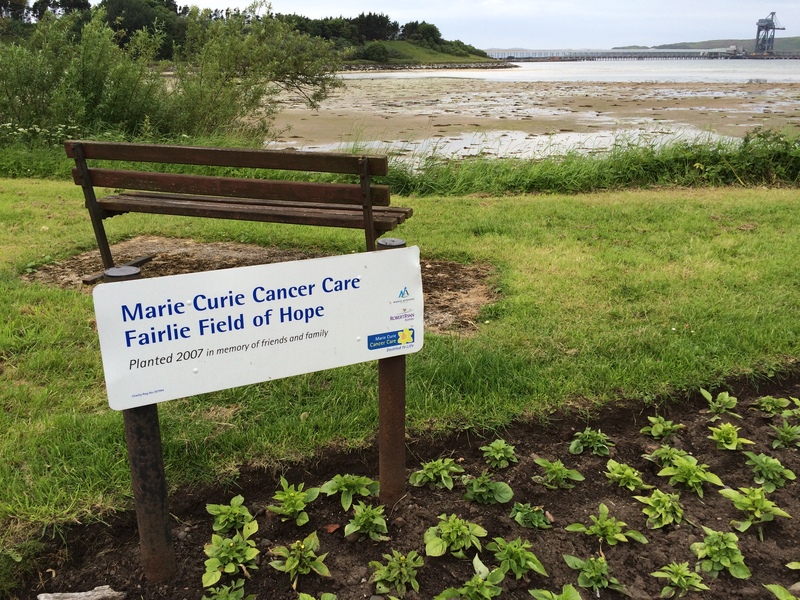 To the south of Fairlie I came across The Marie Curie Field of Hope. A poignant connection. Feldenkrais worked alongside Marie Curie’s daughter Irène Joliot-Curie in Paris. It’s also strange to think of Hunterston B just around the corner, one of Scotland’s nuclear power stations. It was in the Joliot-Curie lab the the atom was first split in March 1939.